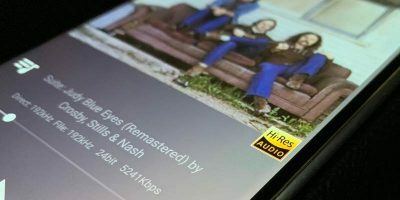 Do you have a website that you frequently visit on your Android phone? 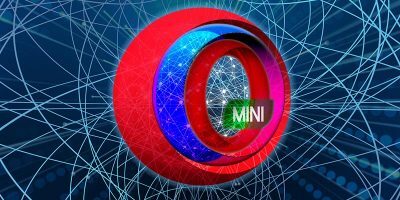 Although most browsers on Android phones allow you to create bookmarks and visit websites that way, there is an even faster option. 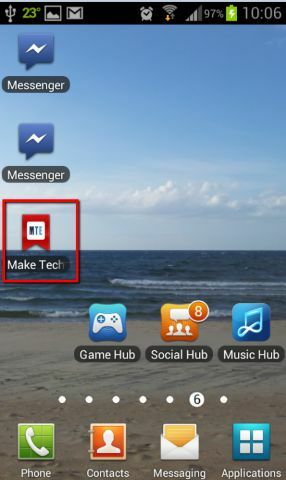 You can pin bookmarks of your favorite sites to the home screen along with your other apps. 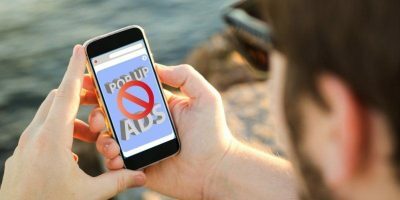 Unfortunately, not all Android mobiles are able to pin websites to their home screen – you need to have at least Android 2.1 and Webkit version 530.17. 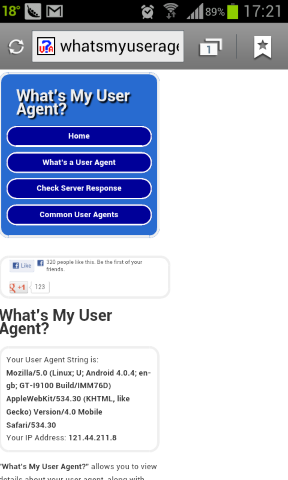 If you are not sure what versions of Android and Webkit you have, then visit whatsmyuseragent.com to find out. You will then be presented with the relevant information (as shown below). 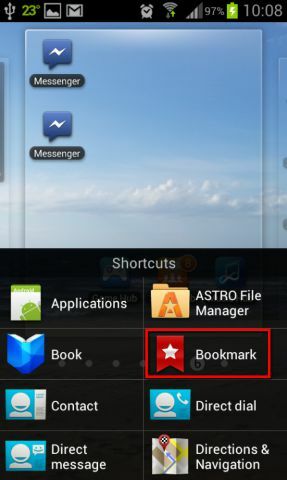 There are a number of different ways to pin bookmarks to the home screen, and we cover many of them below. If you know of another, please post it in the comments. 1. 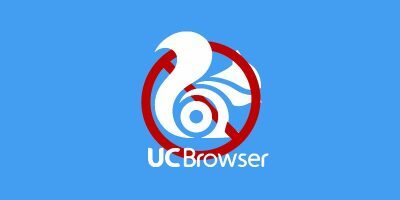 Open your Internet browser and navigate to the website you wish to create a home screen link for. 3. 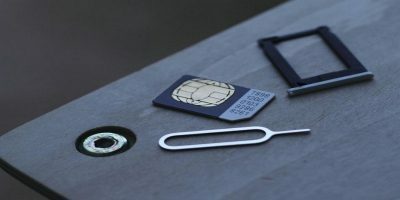 The Name, Address and Folder location details of the bookmark appear. You can either leave the default name of the website or type in an alternative name. Furthermore, if you have more than one Folder (other than Home) you can also choose to save the bookmark in a different location. In our example, we keep the default settings and select Save. 4. You are returned to the website. 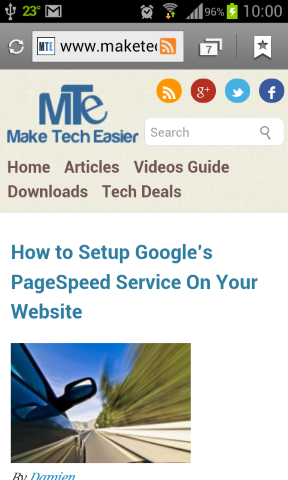 To access the bookmark, tap and hold on the bookmark icon on the top right. 5. A list of your bookmarks appear. Scroll to the bookmarked website, and press and hold on the bookmark. 7. The bookmark has now been added to the home screen. 1. 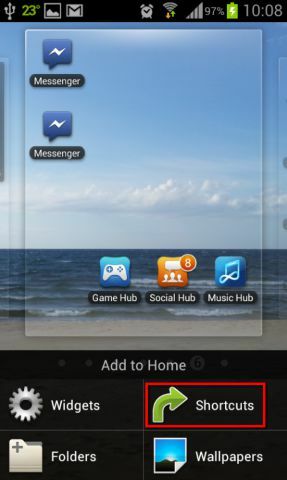 Press and hold the home screen. A menu pops up titled ‘Add to Home;’ select the Shortcuts option. 2. 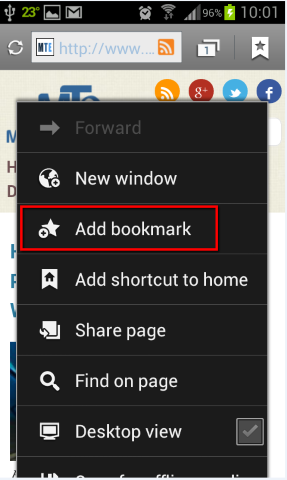 Choose the Bookmark option from the Shortcuts list (You may see a few Bookmarks options if you have installed several browsers in your phone). 3. Scroll to the relevant bookmark and select it. 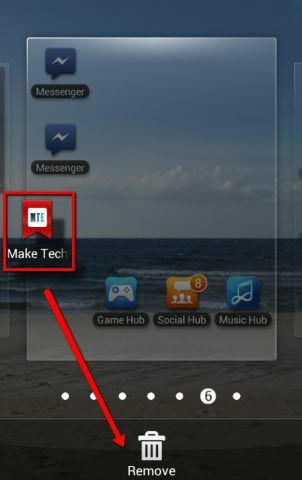 The bookmark will again appear on the home screen. 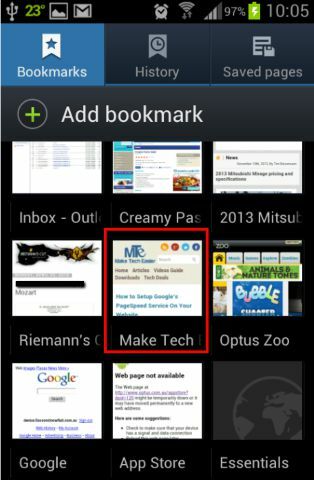 If you do not want to bother with bookmarks, it is also possible to pin a website to the home screen as a direct shortcut without needing to create a bookmark for it (It works on most Android phones). 2. The bookmark for the website has thus been added to the home screen. 1. 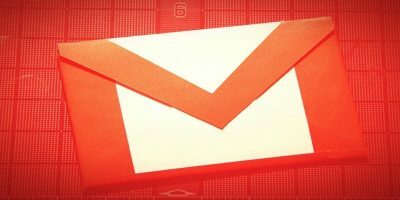 The process is relatively the same as when deleting apps from the home screen. 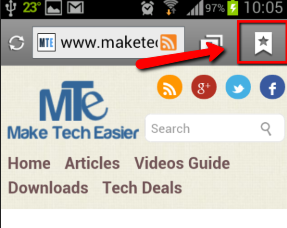 Press and hold the pinned bookmark or shortcut and drag it to the bin on the bottom of the screen. 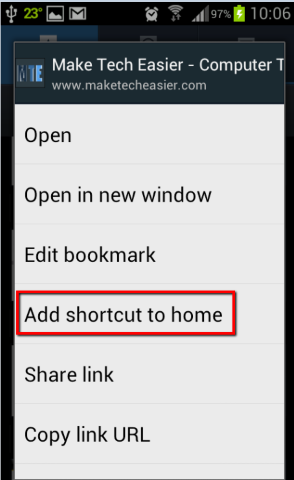 Note: If you delete the bookmark from your web browser, it will not remove the shortcut from the home screen.